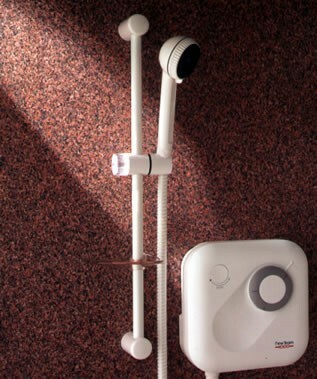 The Showerforce SF 1000 Plus Manual power shower has been discontinued. The new Bristan 1000 power shower is the closest replacement for the SF 1000 Plus manual power shower. Take a look at the new Bristan 1000 power shower which is an upgraded version to replace the SF 1000 Plus. It has a neat flat riser rail and three function handset, and a redesigned on/off button and temperature control handles. IMPORTANT The inlet pipe connection for the new thermostatic version have the same pipe centers but project from the wall slightly more, so some pipe adjustment may be required. This is not always the case with partition walls as normally there is some movement in the pipe work, but on solid brick wall installations where there is no movement it is likely that pipes will need to be extended.